The saying goes that the British Empire was built on tea, and the same can be said of the Galactic Empire from Star Wars too. 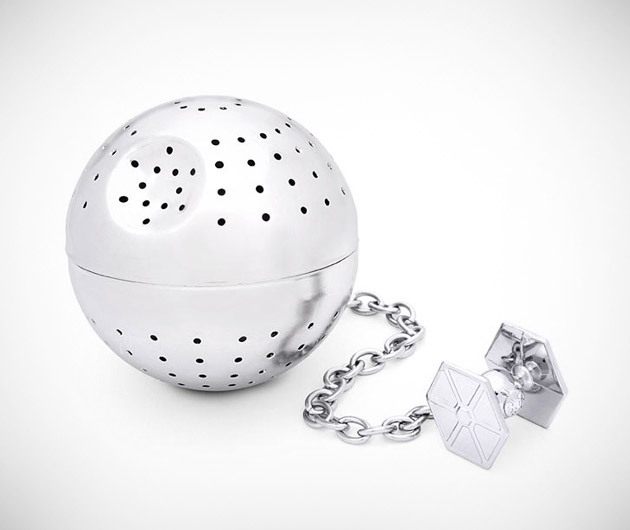 One could just picture Darth Vader plotting the downfall of the Jedi whilst sipping tea brewed from his Death Star Tea Infuser, could one not? It's even dishwasher friendly, because apparently Darth don't like housework either.